Just a few short years ago, the proprietors of this off-the-beaten-path St. Pete venue were very seriously considering doing away with regular live-music programming entirely, in favor of focusing on the space’s studio element (and, one supposes, its potential as a place for one-off special events). It’s a good thing nobody committed to that particular business plan, because these days the Hideaway is one of the most talked-about clubs in the St. Pete scene, precisely because it isn’t a club, per se. Rather than a bar where bands just happen to play, it’s a space specifically designed for experiencing live music, where the performers are the focal point, and the point, period. There’s no overwhelming chatter, no folks who are there to get drunk or get laid or get out, rather than to see the bands — there are no distractions. 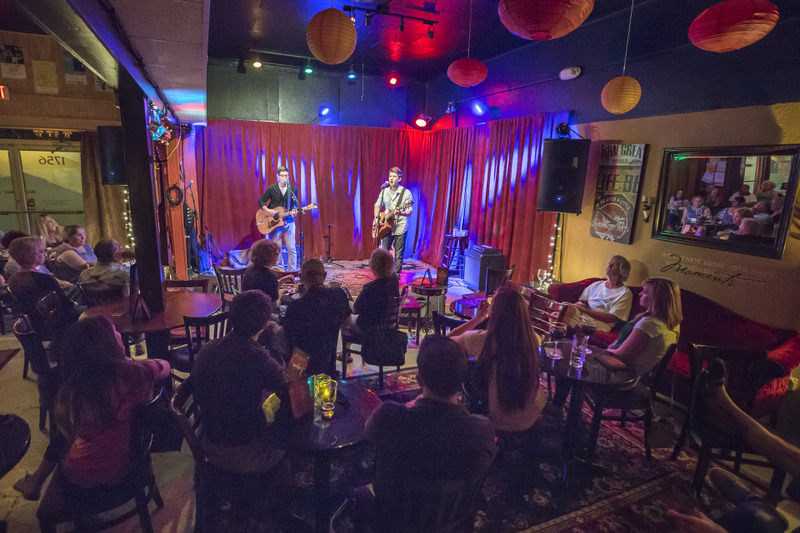 Musicians love the Hideaway for its intimacy and its focus on them, and true music fans love it for exactly the same reason. Appropriately, the venue’s programming runs heavily toward solo, acoustic and/or generally low-volume acts that run the gamut from folk to alt-country, Americana to chamber pop. That doesn’t mean that rocking out is expressly forbidden. Plenty of full-volume shows also take place here — local psych/rock/jam favorite Fowler’s Bluff, for instance, has made a home for itself there, and draws an appreciative crowd. There’s always something going on at the Hideaway, whether it’s a benefit for a local musician or charity, or a cult-beloved touring singer-songwriter. If you’re leaving the house to enjoy a live act first and foremost, you owe it to yourself to do it here, where the music is the mission.